Recently, as the school year ended, I thought of two 9-year-old boys I work with. They are both bright, articulate, and just catching up with their reading. I created a summer reading list that might match their interests and skills. Happy to share it with you. Note that these are all on the easier-to-read scale. For boys going into fourth grade with very well honed reading skills, you might browse the website for more complexity. 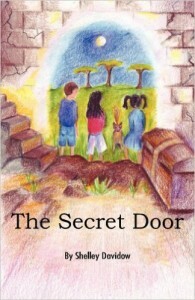 The Secret Door – by Shelley Davidow. Available on Amazon; each chapter is related to a phonics principle, and it helps in recognizing patterns in the words. I realize I haven’t reviewed her series yet, and will this year.